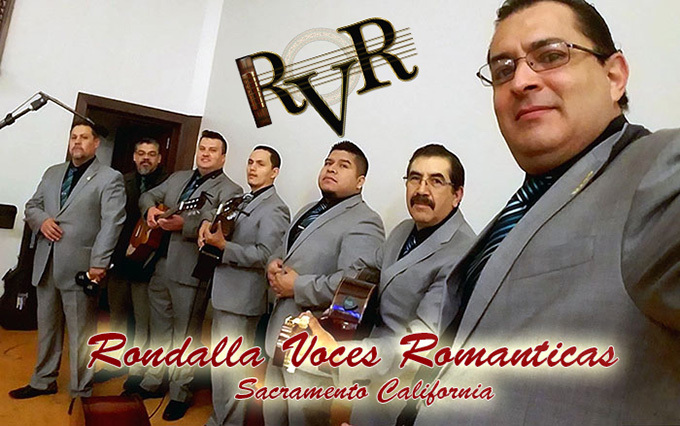 Rondalla Voces Románticas, nominated "The Best Rondalla of 2016" at the “TRIUNFO AWARDS"
Rondalla Voces Románticas of Sacramento, California, also known as RVR, continues expanding its musical romanticism delighting their audiences mostly with romantic songs of yesterday. Songs that RVR, has conveyed a new musical style which animates, rejoices, and is pleasing to the listener. With the passage of the years, Rondalla Voces Románticas, has expanded its musical repertoire, in such a way that the public enjoys listening to new romantic songs, typical of the rondalla style. In addition, at the request of the audience, there is never a lack of a few ranchero songs that invites the listener to sing and even participate dancing. The community of Northern California has had the opportunity to discover in Rondalla Voces Romanticas a high performance group, whose musical presentations, are always of very high quality. This has taken the organization to fabulous places in its short lived life. The musical dream of this grouping started in the month of October 2007, fulfilling to this date more than 10 years of delighting mostly the public of Sacramento, California. 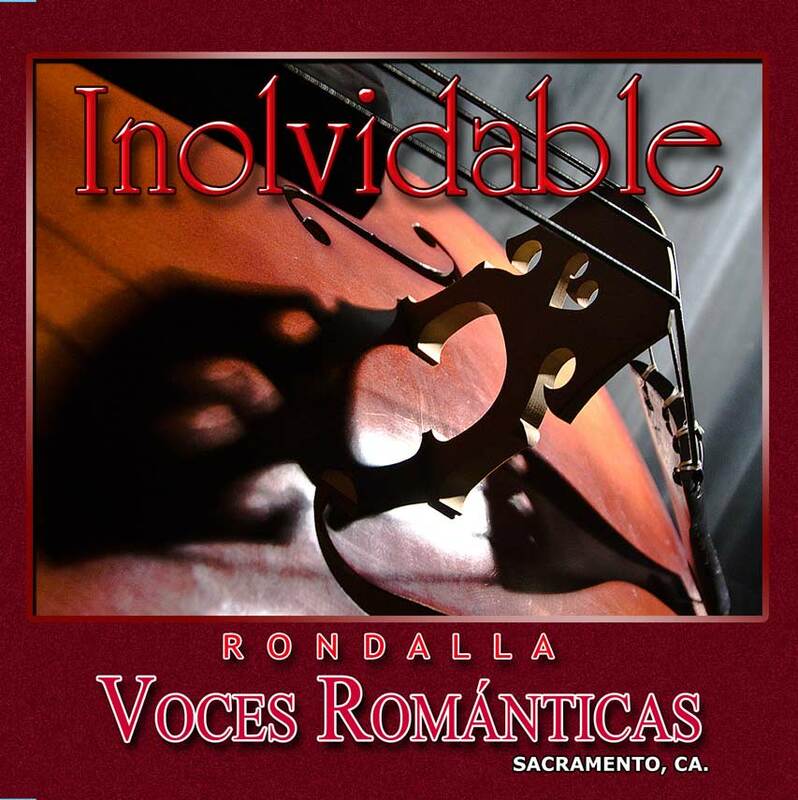 It is in this city, where on November 12, 2011, the pride of RVR rings very loud due to the presentation of their first musical recording titled "Inolvidable." This "Dinner dance" style event had a great turnout and counted with the attendance of important personalities of our community who were witnesses of the blessing of the CD. 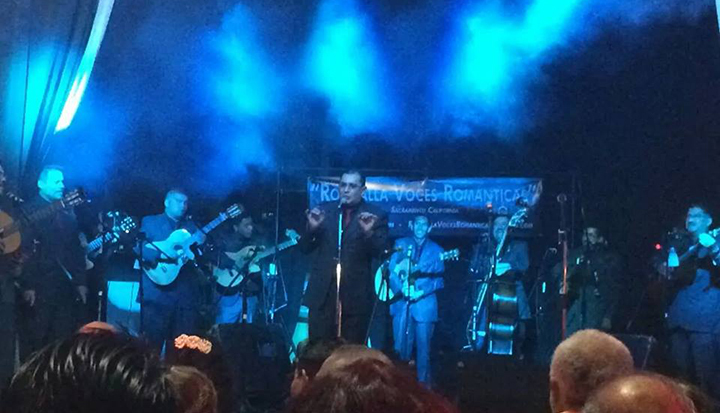 During the year of 2015, RVR was one of the participant Rondallas at the "1st International Rondalla's Festival" hosted at Los Angeles California; they had the chance to play along great International Rondallas such as: "La Rondalla de Amor de Saltillo", "Rondalla Voces y Guitarras Para Cristo" and the hosting organization "Rondalla San Jeronimo". It is of much pride for RVR, to continue receiving countless requests for services for different events, both communal and private. Also, RVR, continues animating the radially transmitted 9:00 am mass in the 1240 AM frequency, every third Sunday of the month, at the National Shrine of Our Lady of Guadalupe. 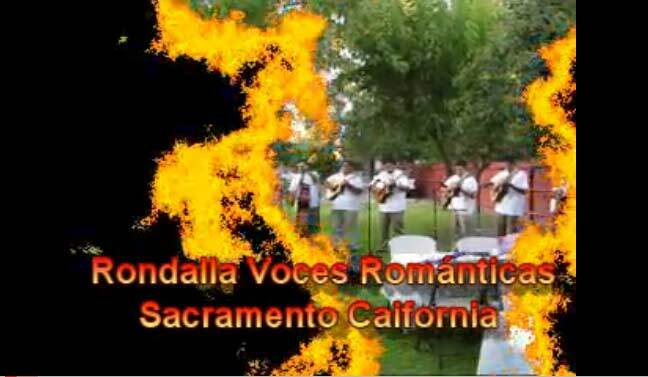 Rondalla Voces Románticas of Sacramento offers a broad musical repertoire for your festivals and special celebrations. Your satisfaction is our commitment! If you wish to hire our services or would like to request more information about our Organization, please contact the following telephone numbers or e-mail. We appreciate your patronage and preference! 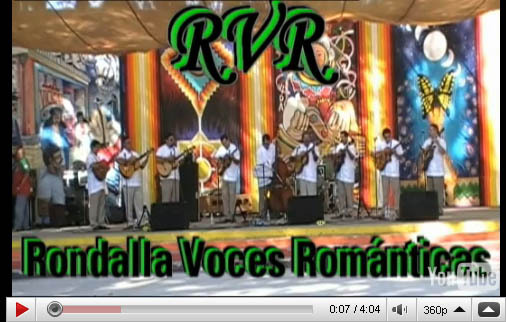 Rondalla Voces Románticas can be found on Facebook. Look for us under ”Rondalla Voces” and send us an invitation to join our friends list. Would you like to be part of this organization? Do you like to sing and express your feelings with music? You can obtain a CD, for more details, send us an e-mail. We will ship it to you. 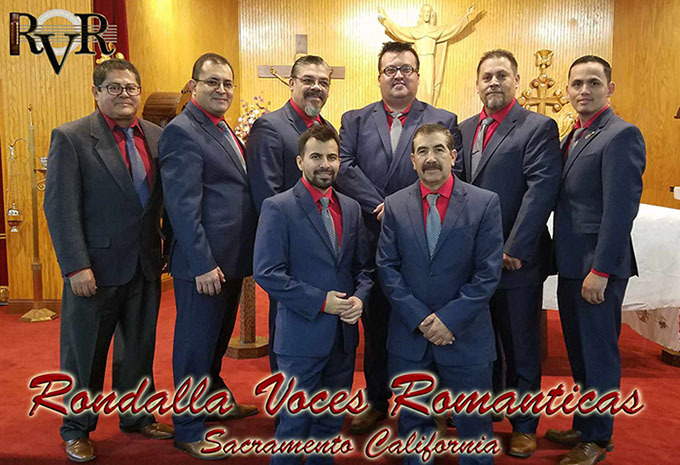 Rondalla Voces Románticas de Sacramento exists for you. RVR ya tiene a la venta su primer CD. Ve a nuestro sitio de musica para obtener tu Disco que es "Inolvidable"
Rondalla Voces Románticas ya esta en Facebook, entre y mándenos sus fotos y comentarios. Sabes cuantos integrantes tiene la organización de Rondalla Voces Románticas? Infórmese de nuestros próximos eventos abiertos al público y asista a brindarnos su apoyo!